Triatek’s FMS-1655 Room Pressure Controller now offers a Clean Cycle mode that provides critical care facilities with a convenient way to completely evacuate a space of airborne contaminates, making patient room turnover easy and efficient. This new programmable feature enables staff to activate the Clean Cycle for a predefined amount of time. The exhaust valve is then fully opened to allow for maximum evacuation of air. 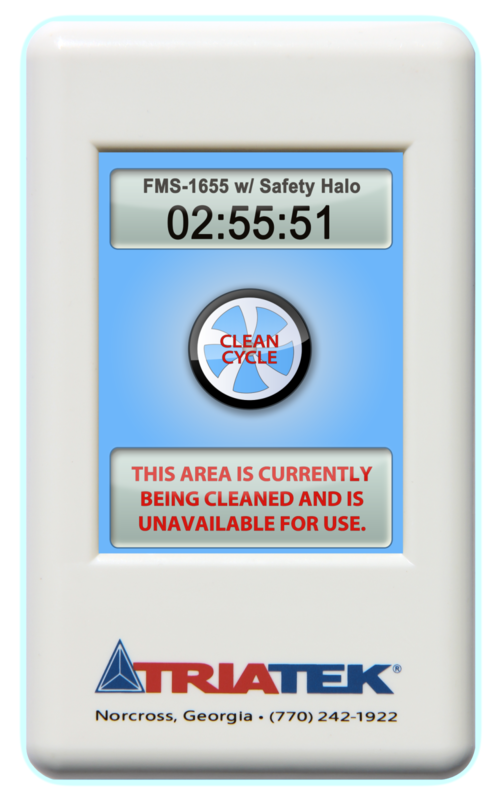 The cyan-colored display and flashing Safety Halo™ alerts personnel that the room is being cleaned and displays a countdown as to when the cycle will be completed. The Clean Cycle allows healthcare staff to feel confident that their critical spaces are cleared of all airborne pathogens and are prepared to receive the next patient.